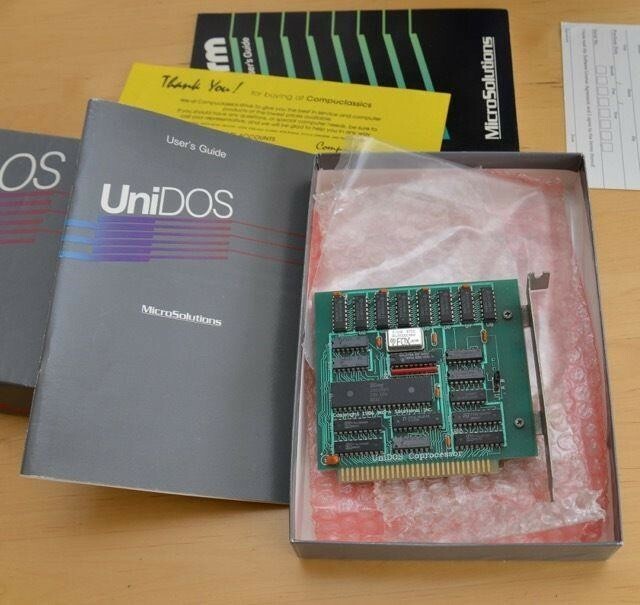 MicroSolutions has released two different versions of UniDOS. 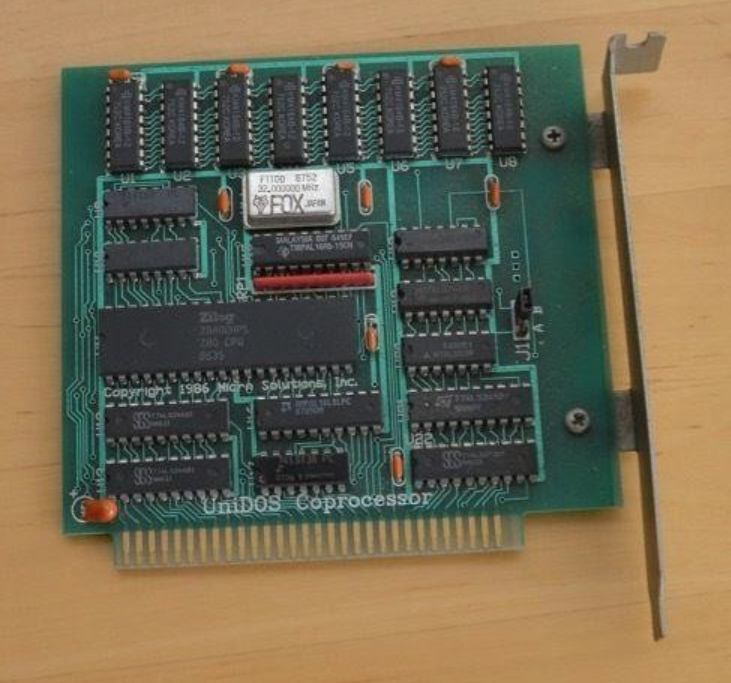 On the one hand a pure software solution and on the other hand a plug-in card with a Zilog Z80 processor. 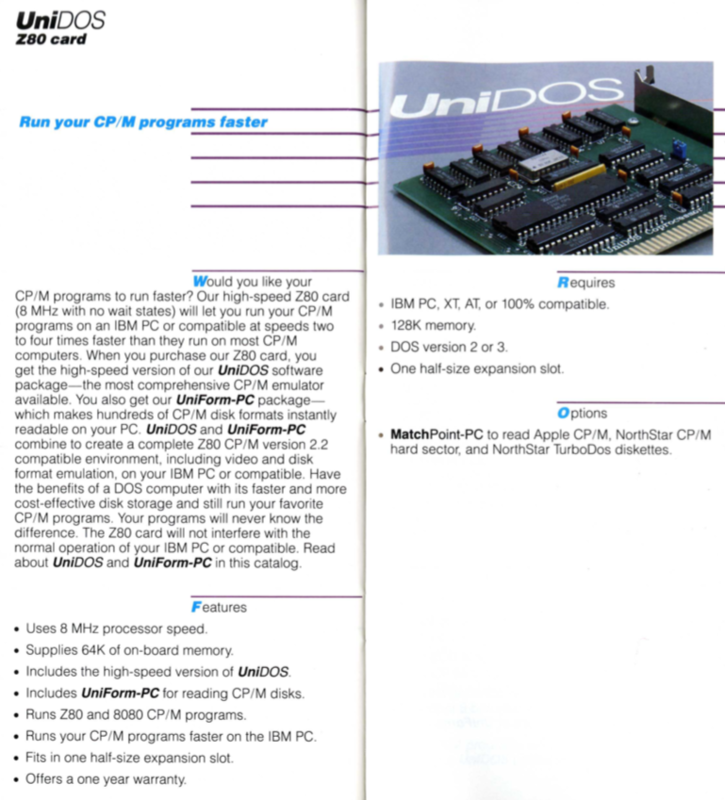 I use the UniDOS version 1.11 on my 286 AT in combination with a CompatiCard I and UniForm. As described here, I could start Wordstar (V2.26) with UniDOS directly from an 8 inch floppy disk and work with it. 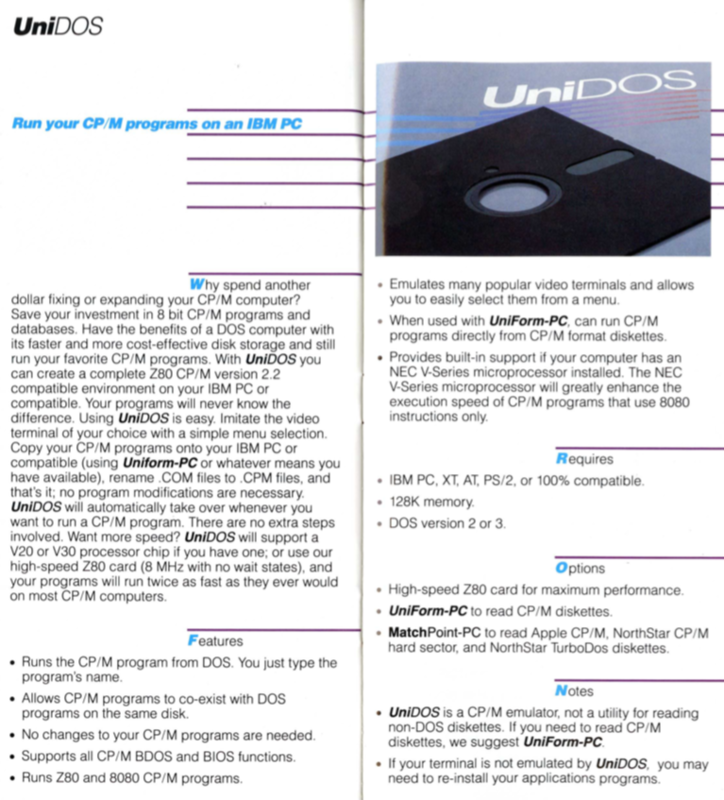 If you are using UniForm-PC with a CP/M drive, you can start the CP/M *.COM program directly on the UniForm drive. 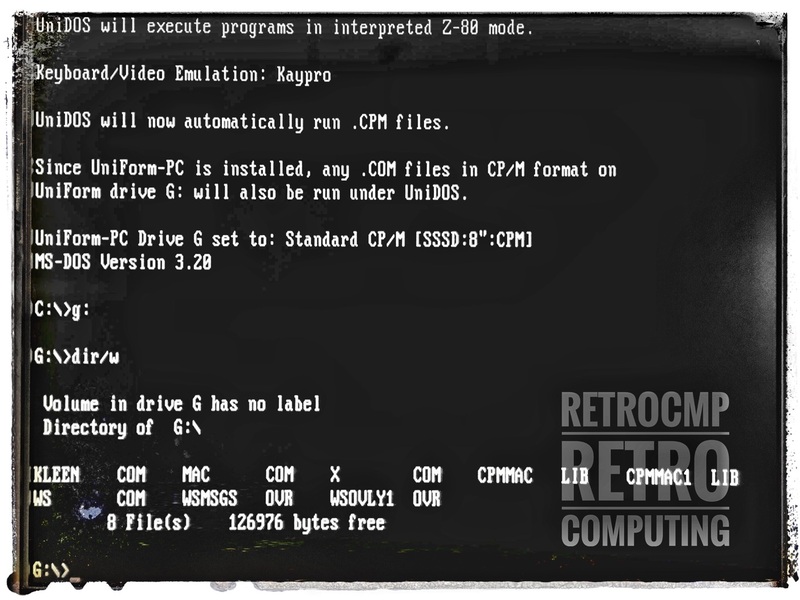 If you have copied the CP/M programs to the hard disk, then you must rename the CP/M *.COM files as *.CPM. Afterwards you can start these files directly, like otherwise a *.COM file, see figure above. I don't know of any manuals. Nothing can be found on the Internet! ?